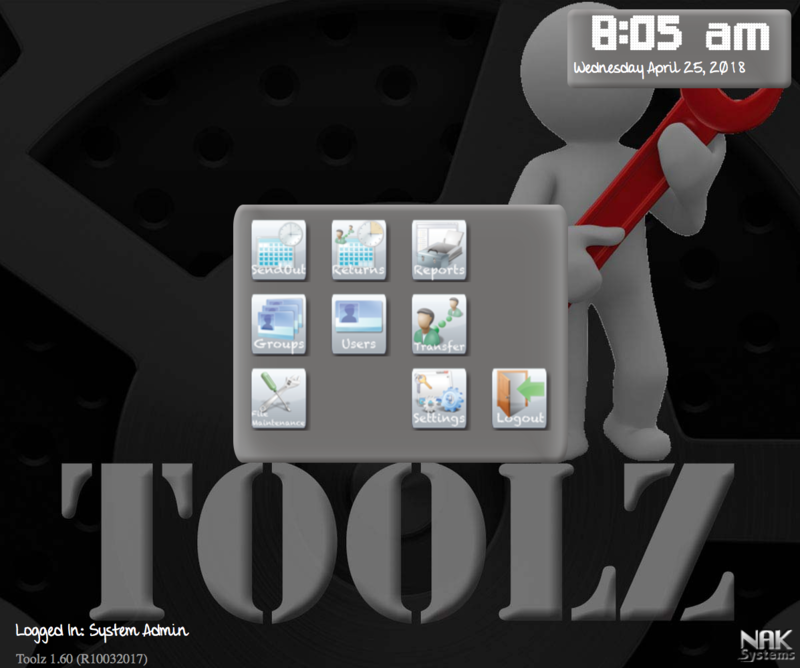 NAK.Toolz can be utilized with or without an internet connection, updates can be done over the internet or USB flash drive. The Menu System is all at one level for ease of access to all users. Users with limited account access will not display icons for which the user has no access. 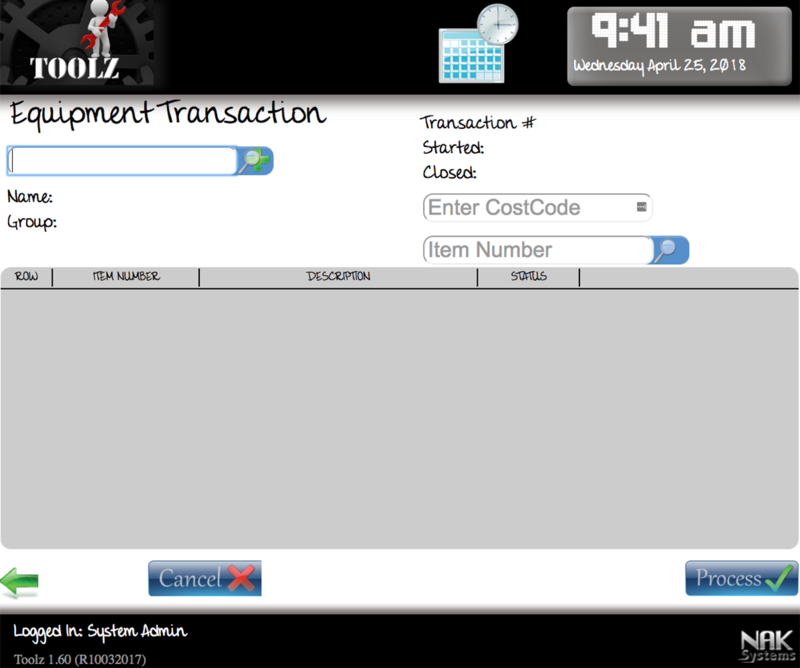 NAK.Toolz has the function to take the system offline. This allows only "Admins" to login and make system configurations, modifications, and import functionality for inventory maintenance. Outgoing transactions can be completed quickly with a minimum of entries. 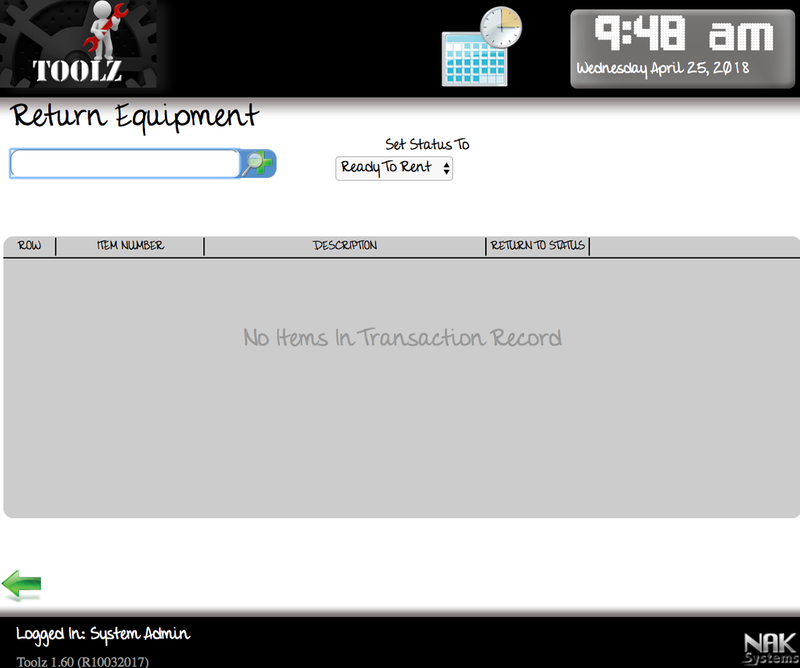 Partially completed transactions can be saved and placed on hold, by clicking the "Save" icon. if you have multi item to return just keep scanning item numbers. The selected "Status" will stick until screen is closed. A CSV formated file can be imported into inventory. The Import tool will validate imported numbers as "good" to import, and add the new item to inventory. If the item fails for some reason, (duplicate number) will be logged and outputted after toll has completed. 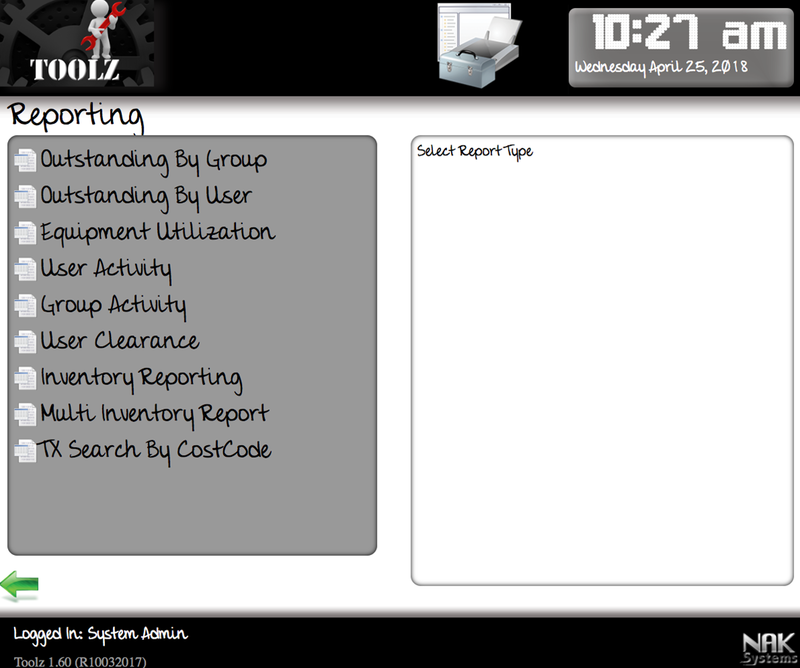 With the custom reporting engine, NAK.Toolz can generate multiple types of reports based on item history stored within its database.